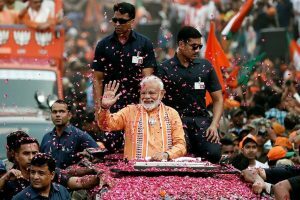 Chuddies, the Indian English word for underwear, is among 650 new entries recognised as official English words by the definitive Oxford English Dictionary’ (OED) in a latest update released on Thursday. 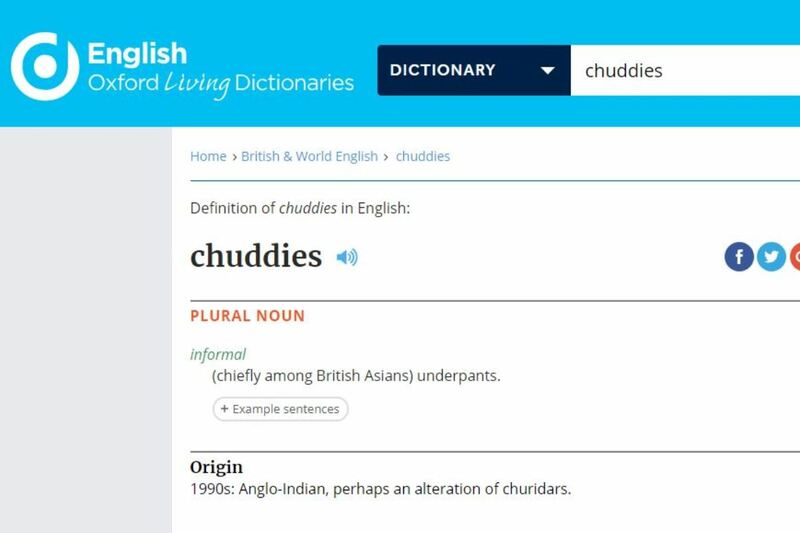 Chuddies, made popular in the UK by the popular sitcom starring British-Indian actors Meera Syal and Sanjeev Bhaskar Goodness Gracious Me’, is defined as short trousers, shorts. Now usually: underwear, underpants. Each new and revised entry has been painstakingly researched, and at no point have our editors simply mailed it in, Jonathan Dent, OED Senior Assistant Editor, said. Our coverage of British Indian usage gets an update with the addition of the dismissive kiss my chuddies’, popularised as a catchphrase by actor and writer Sanjeev Bhaskar, playing one half of the teenage duo known as the Bhangra Muffins in the 1990s BBC comedy sketch show Goodness Gracious Me’, he said. The latest set of entries follow an ongoing set of themed appeals by OED, calling on the public to help expand the dictionary’s coverage of language from specific contexts as part of its 90th anniversary celebrations. The quarterly update released this week includes some new entries and senses drafted in response to the first couple of these appeals including the Words Where You Are request for regional vocabulary and the Hobby Words appeal for words associated with particular pastimes. Among regional items, includes jibbons, a name in Welsh English for the vegetable now usually known in England as spring onions. The public appeal also yielded a host of Scots terms, including bidie-in, which the OED defines as a person who lives with his or her partner in a non-marital relationship, and bigsie, which means having an exaggerated sense of one’s own importance. The word sitooterie is another Scottish term to make the cut in the OED’s latest update, with editors Jane Johnson and Kate Wild saying that there is something just generally pleasing about the word. A first small selection of entries drafted in response to the Hobby Words appeal includes stash, specifically referring to a knitter’s or sewist’s working collection of yarn, fabric, and other craft supplies. The other words included are Kitbasher, a person (especially a model railway enthusiast) who creates unique models by adapting or customising commercially available kits and pony bottle, a small tank of breathing gas carried by scuba divers as a backup to their main supply in case of emergency. Do you know the meaning of these new words in Oxford dictionary?